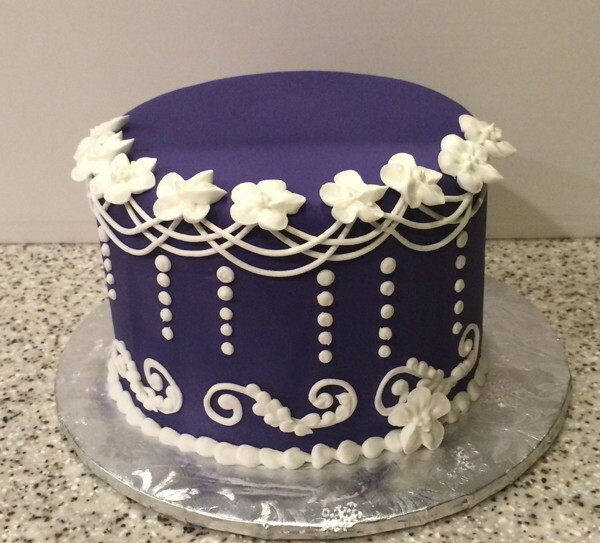 The Greater Washington Area Cake Club | Bringing together cake and sugar artists of all levels and interests. Bringing together cake and sugar artists of all levels and interests. Applauds to, GWACC friend and supporter, Chef Dana Herbert of Desserts By Dana on his newest venture as Contributor for MunaLuchi bridal magazine. In Ask The Chef, Chef Dana will be answering all your cake related questions on the MunaLuchiI blog. 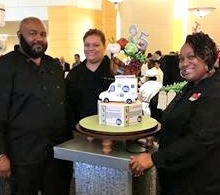 Check out their interview with Chef Dana http://munaluchibridal.com/your-cake-questions-answered-with-chef-dana-new-munaluchi-contributor. Sharon White AKA Cake Courtesan. She provided GWACC with an informative demonstration on how to apply Edible and Non-Edible Silver and Gold Leafing. She gave bonus tidbits on how to stencil on leafing and how to achieve other decorative looks. Those that were present definitely received information on the techniques of this latest cake trend. 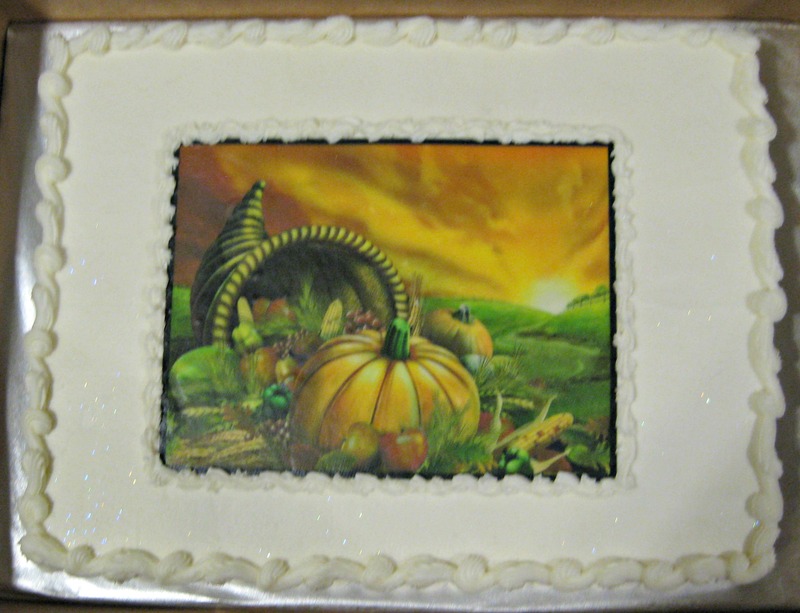 The nursing home cake was prepared by our own Romona Flowers. Hope to see you on Monday February 9, 2015 at 7:00pm for another informative and skill building meeting. Don’t miss the next meeting on Monday, January 12, at 7:00pm. 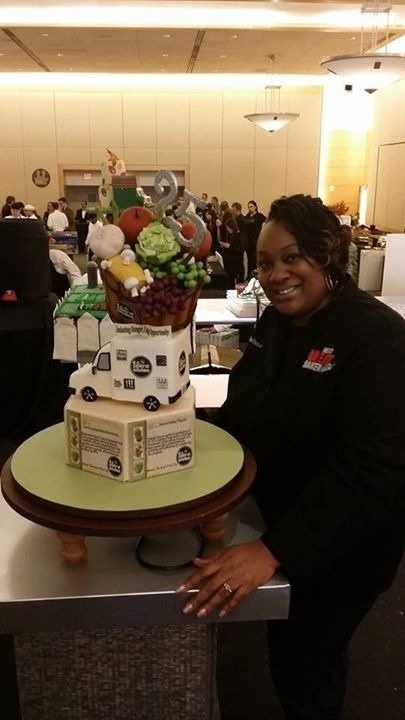 Melissa Payne 2014 winner of DC Central Kitchen’s High Stakes Cake competition. And look who was on her team, Master Jordan and our very own Dia Johnson. Congratulations on your win and a fantastic cake. And an awesome demo on decorating techniques. Don’t miss the next meeting on Monday, November 10th at 7:00pm. http://www.greatamericancakeshow.com for details and more information. 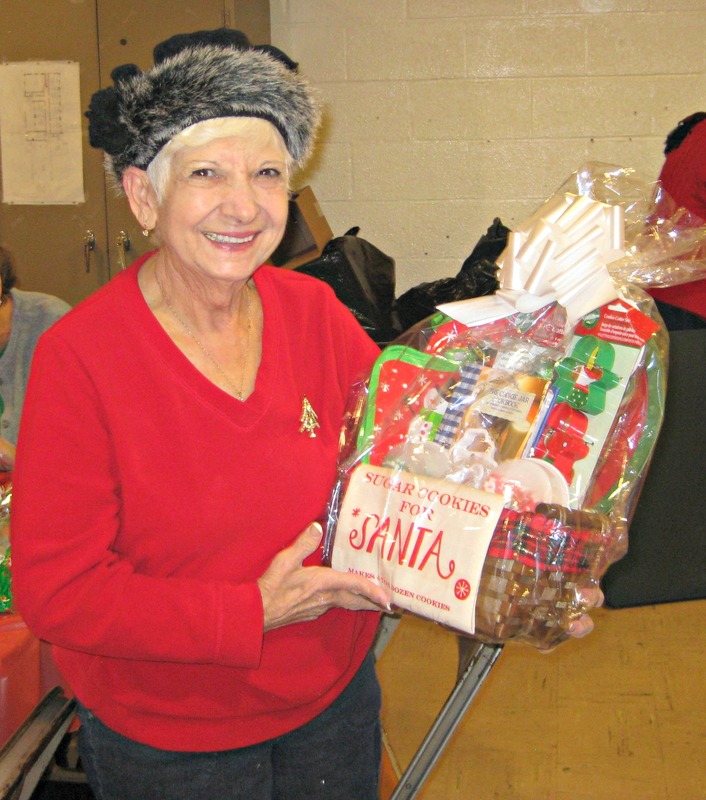 The September GWACC meeting welcomed club members and guests to the 2014-2015 club year. We continue to have “Cake Talk” discussions where we can share and discuss cake related experiences. Have a cake related problem, then let’s discuss it during “Cake Talk”. 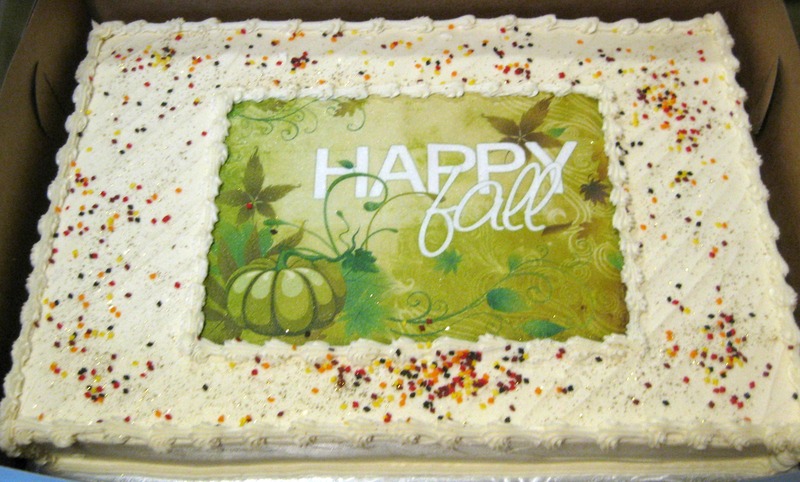 Tried something that made caking easier, then share it with the group during “Cake Talk”. 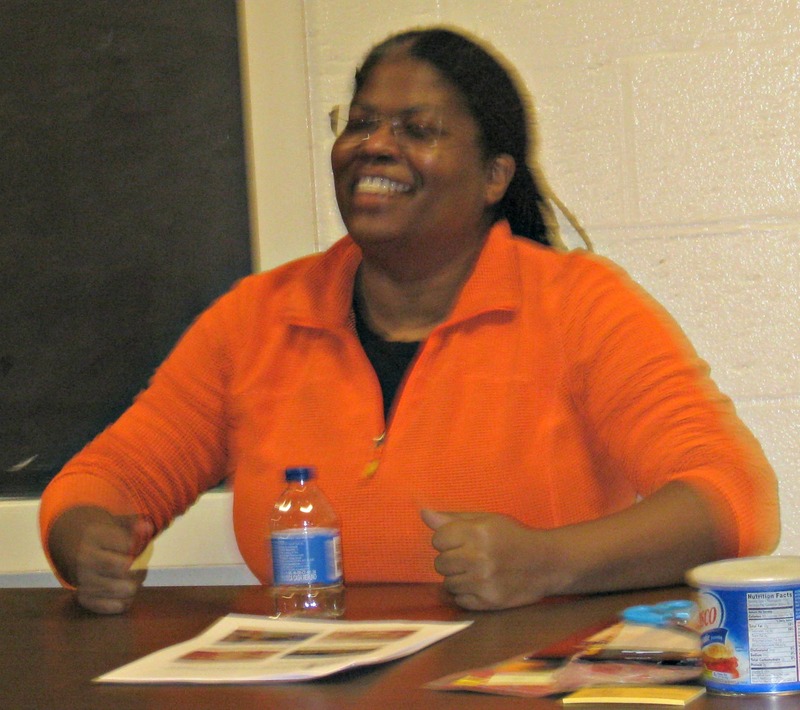 The September demonstration was by Dia Johnson. Dia demonstrated the new and very elegant cake trend “Cake Lace”. Thanks Dia for showing use how to use this wonderful product. I’m sure members will find many uses that will add unique and elegant designs to their confections. Then a special sweet treat by Dia Johnson…the preparation of mini desserts! Dessert bars of individual desserts is all the rave. Well Dia showed us how simple and cost effective it is to achieve. You never know what you may miss when you don’t attend. 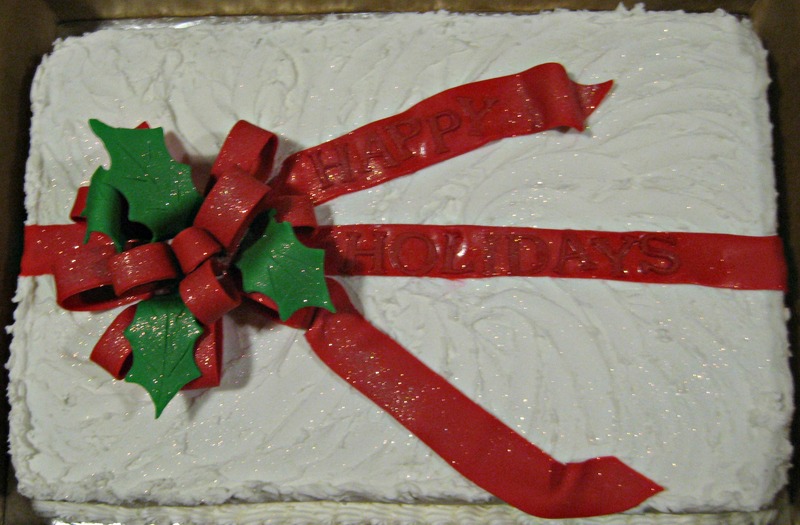 We continued our community volunteerism by donating a half sheet cake to Manor Care Nursing Home prepared by Dia Johnson. 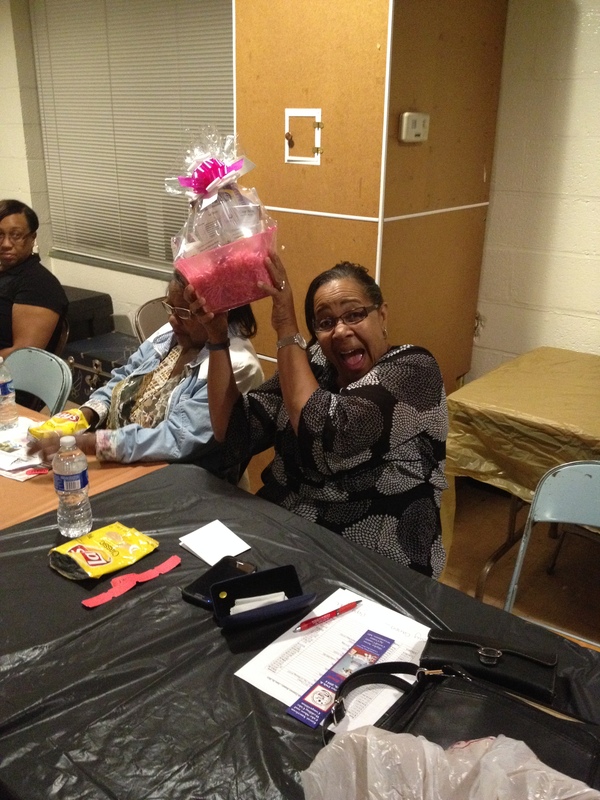 Congratulations to Sandra Stewart, winner of the Isomalt themed raffle basket. Hope you enjoy creating beautiful isomalt pieces. REMEMBER TO BE CAREFUL WITH THAT HOT SUGAR!!! We invite you to come out to the next meeting on Monday October 13th at 7:00p.m. 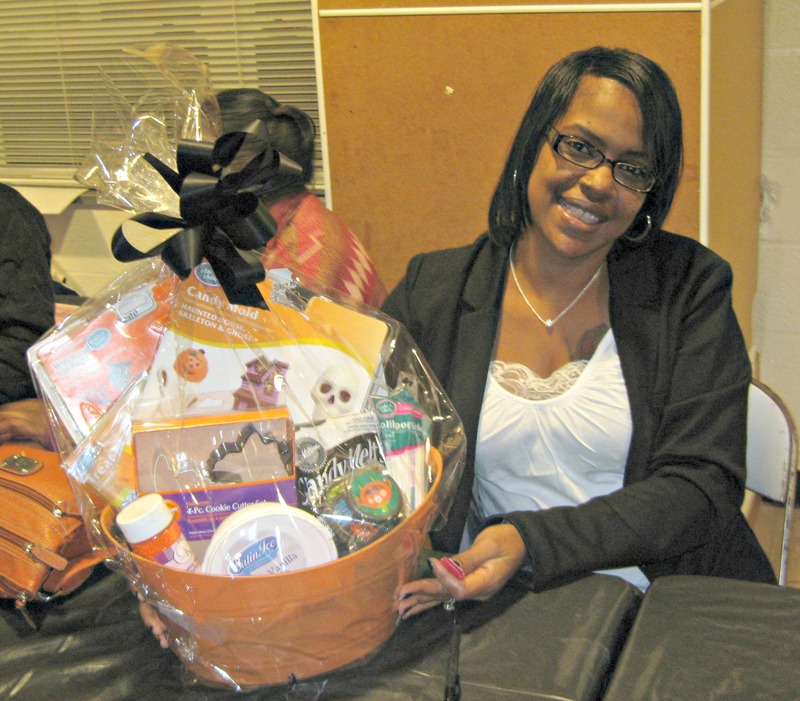 Bells United Methodist Church, 6016 Allentown Road, Camp Springs, Maryland 20748 for some “Cake Talk”, a chance to win a Halloween gift basket packed with treats, and a cake design demonstration by Romona Flowers. Juanita took first place in the chocolate division of the Amoretti challenge at the NCACS with this recipe. Junita notes: I based this on a recipe from Allrecipeces but tweaked it. 1) Heat the oven to 350ºF. Grease and flour two 8-inch baking pans; set aside. 2) In a large mixer bowl add vegetable oil, egg, and vanilla extract. Beat at medium speed until well mixed, approximately 1 minute. 3) Add brown sugar and granulated sugar; continue beating, scraping bowl often, until well mixed, about 1 more minute. 4) Add the melted chocolate. Continue beating, scraping bowl often, until well mixed. 5) In small bowl stir together flour, 2/3 cup unsweetened cocoa powder, baking soda, espresso powder, and salt. Add the flour mixture to chocolate mixture alternately with water, beating well after each addition. 6) Add sour cream; mix well. Then stir in the curry and bacon extracts. 7) Pour into prepared pans and bake until a wooden toothpick inserted in center of cakes comes out clean (about 30 to 35 minutes). 8) Remove cakes from the oven; cool 10 minutes. Remove the cakes from the pans; cool completely. Milk – to your consistency. 1) Cream butter and melted chocolate. 2) Add cocoa and mix. 3) Add confectioners’ sugar and mix. 4) Add milk as needed for consistency. 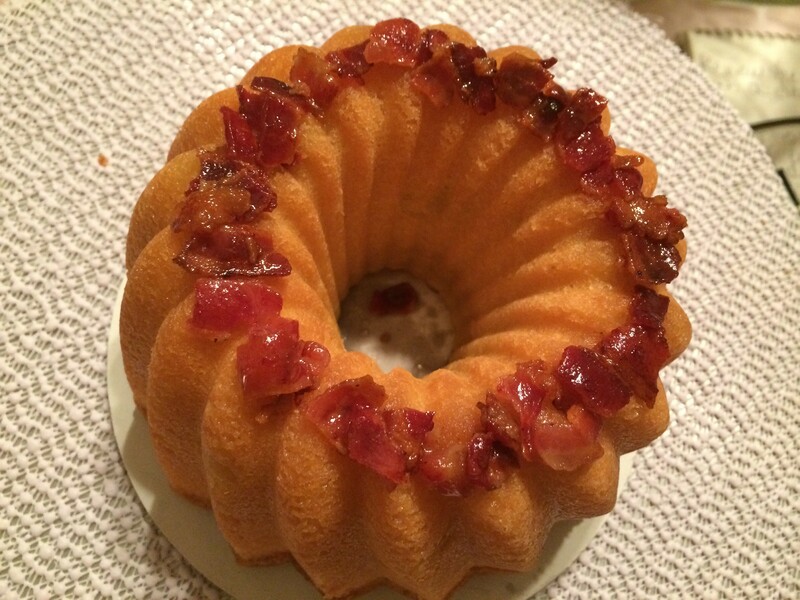 Romana Flowers took first place in the poundcake division of the Amorett challenge at the NCACS with this recipe. 1) Generously grease and flour a 10-inch Bundt or tube pan. Do not preheat oven. 2) Cream the butter and sugar together until fluffy. Add eggs one at a time, beating well after each addition. 3) Sift together flour, baking powder and salt in a separate bowl. Add the flour mixture and the heavy cream alternately to the butter-and-sugar mixture, beginning and ending with flour. Mix until just combined. Stir in Amoretti cheddar cheese extract and apple. 4) Pour batter into prepared pan. Put into a cold oven and set the temperature to 325ºF. Bake for 1 hour and 15 minutes without opening the oven door, until a toothpick is inserted into the center comes out dry and clean. Bake for additional 15 minutes if you think it needs it. 5) Remove from oven and let the cake cool in pan for 15 minutes before unmolding. Once the cake is cool, turn the cake onto a cooling rack and make the glaze. 1) In a small saucepan, whisk together all ingredients over medium heat until the butter and sugar is dissolved. Stir constantly. 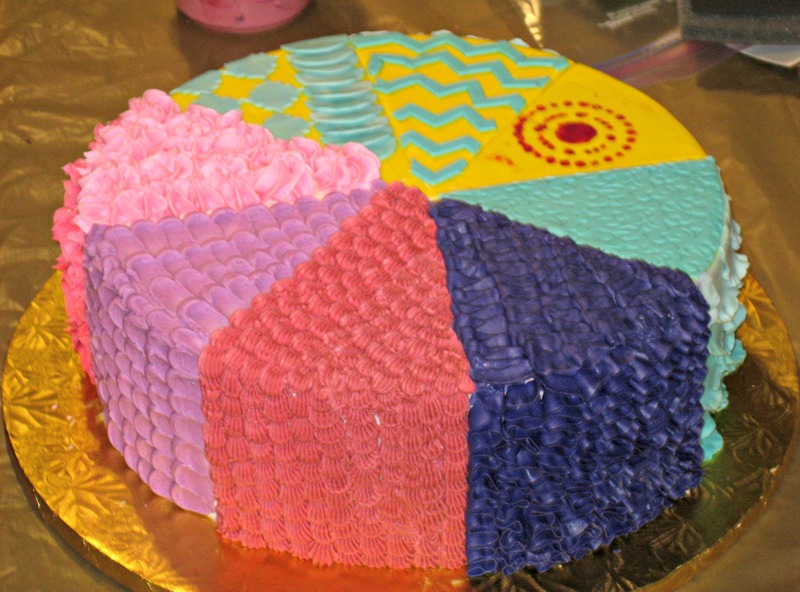 2) Brush the glaze evenly over the cake. 3) Crumble two slices of bacon and put on top of cake. 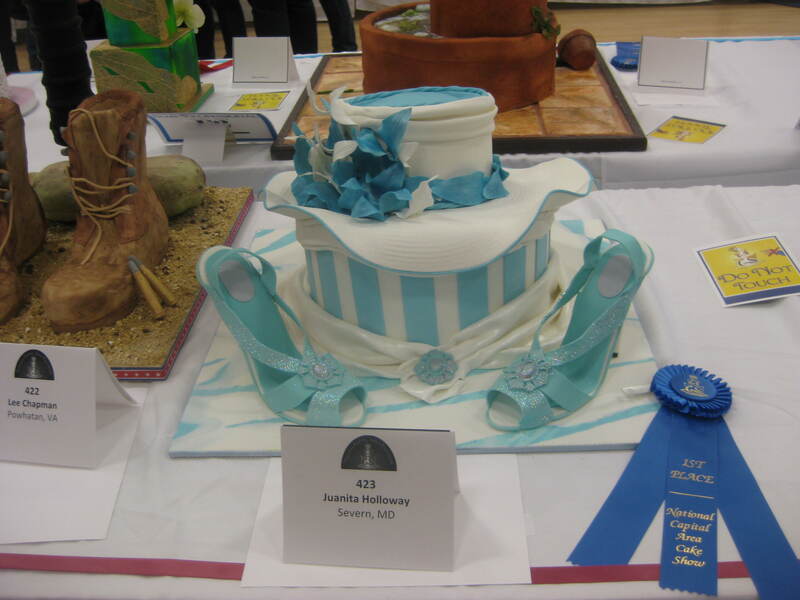 The 2014 National Capital Area Cake Show is now a thing of the past. 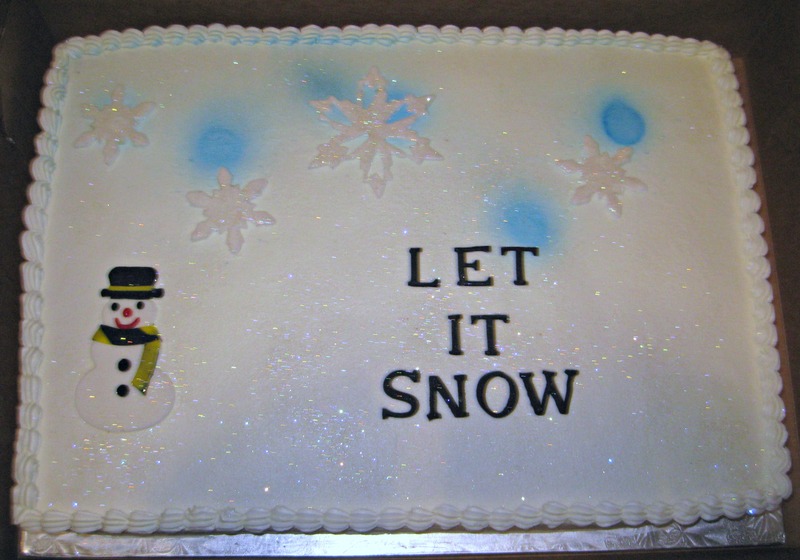 However, it was an incredible event from the classes, demonstrations, and challenges to the spectacular cake entries. Kudos to Teri Tarbox for her tireless work in the coordination and support of this super successful event. We also wish to acknowledge all the GWACC members that volunteered in support of the show as well as those that attended. All of you contributed to the success of the show. Don’t miss this show in 2015! Matcha Passion Fruit Spring Cupcakes | I Sugar Coat It! Matcha Passion Fruit Spring Cupcakes | I Sugar Coat It!.